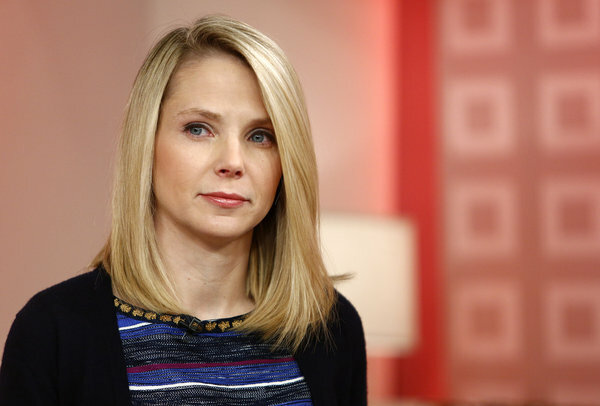 My head is spinning from the Marissa Mayer news coverage this week. To those moms who don’t have time to follow the news, I apologize. I’m a news junkie. But I know there are days when it’s hard enough to remember what month it is, let alone find the time to keep up with daily current events. However, in this case you really ought to know what’s going on because there’s a ripple effect touching women everywhere. Is Mayer out of touch? Would it have been different coming from a male CEO? A step backwards despite advances in technology? Ok – your turn… What do you think? Was Mayer’s announcement a good business decision? Is she insulting women with her actions? Did she do long-term damage to those who telecommute? Ultimately, is she a role model? I’m interested in seeing how this ultimately shakes out. It is great working from home and the technology at our fingertips is amazing. I have the good fortune to be close to my employer yet have the opportunity to work from home, especially when my boys are here or when I really need the quiet to focus and write. However, there are benefits to working on site. Brainstorming and problem-solving are more productive face-to-face. I think more can be accomplished in a shorter amount of time…and misunderstandings are fewer…when everyone works together. Consider a recent in-person conversation or business meeting. Now think about how long it might have taken if done via email or instant messaging. Personally, I can talk faster than I can type. My husband brought up a good point about a discussion with a co-worker in management. During a teleconference, while listening to the speaker, everyone in the room was busy on their electronic devices. Multitasking isn’t productive. How might the scene look if the speaker was in the room with everyone? Seems like balance is needed. Sure, workers can be highly productive when working from home, especially if a family situation calls for it, but what’s missing if people rarely get together to discover, collaborate and communicate? Great points, Jen. She’s sending a strong message that she’s up to the task of whipping this company back into shape. If there are slackers allegedly working from home, then she’s basically laying down the law and hauling their butts back into the office. Should she have tempered that message? Maybe, but would it have had the same effect? The firestorm has come as a result of the message, on top of the context – first female Fortune 500 CEO to juggle pregnancy with the job. Does she owe it to us women to support telecommuting as an option? You are 100% right about physically being with coworkers in order for effective collaborations to occur. But studies show productivity is higher when workers are home (except perhaps for Yahoo’s employees!). I think the ideal situation is to allow flex time for workers to telecommute certain days and be present in the office other days. The key is good communication flowing from the office and filtering down to employees who are telecommuting to keep them in the loop. I agree – it’s going to be interesting to see how this turns out… stay tuned! I’ve been following it and I think it’s very interesting. In today’s world world this may finally be a groundbreaking business decision. She’s the boss and it was most likely a very tough and thought out decision with pros and cons to both sides. There are just too many variables for anyone outside to consider…still a powerful move. She may have a good idea, requiring female workers to either quit or work in the office as opposed to working at home. But, I wonder, since she has an available nursery next to her office, if she would make a nursery with care givers, available for those women who would choose to bring their children to work, also? She is a new mom, perphaps she does not realize all that goes with the parenting responsibility, like some of us that are years into it….. she may not have enough “life” experience to have “empathy” for others, e.g. women & a mother’s daily routine of life, she also has a lot of money to do as she pleases……puts life in a different perspective. It seems the ones who suffer in life understand others better, but who knows what her path has been so far. My current employer only allows for “1” day a week of telecommuting, the ones that try for that 3 day weekend get noticed, our company rule is to telecommute Tuesday, Wedsnesday or a Thursday, just 1 of those days. Most follow it and they do actually get work done from home. Companies need strong HR departments to enforce some of the rules made by the executives, we would have to know the details of the employees that perhaps are not following the rules, if they have any rules around their telecommuting policy.